‘Someone called and said Kurt died. I just f*****g lost it.’ He has sold over 40 million albums. He’s been in bands that have changed popular music forever. He saw his best friend commit suicide. He starts supergroups. He’s the nicest guy in rock. From Nirvana to Foo Fighters, from brotherhood to bitter rivalry, from breathless highs to lifeless lows, Paul Brannigan gives an unparalleled, intimate and extraordinary account of the life and times of Dave Grohl. In 1990, little-known punk-metal upstarts Nirvana added a new drummer to the band. They were soon to become a global phenomenon – but as we all know, things went wrong. 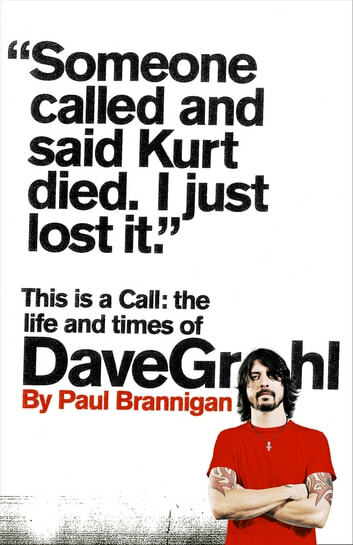 Dave's friend Kurt, frontman of Nirvana, took his own life, plunging the band and their future into chaos. His friends’ grief was mirrored by worldwide sorrow to an unprecedented degree. Defying expectations, a knack that was soon to become his trademark, Grohl refused to see it as the end. In 1995 his new band, the Foo Fighters, rose to join the pantheon of rock deities. The 'wonder years' were by no means calm. The spotlit existence imposed by his celebrity status, the bellowed vilification by his critics and his high-speed lifestyle proved a dangerous cocktail. 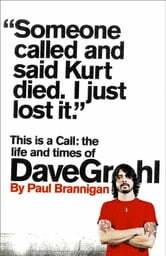 With an account of Grohl’s life that is more personal than anything written before, more startling, more thrilling, more heart-rending and more inspiring, Paul Brannigan reveals Dave fully for the first time. This is the story of the man who changed music forever. I am 200 pages in and very disappointed. I understand learning the history of how Dave Grohl got to where he is but this is brutal. So far there have been a few quotes and that's it and more history on the bands than I want to read. I had hoped it would be better than this. Not sure I even want to finish it.